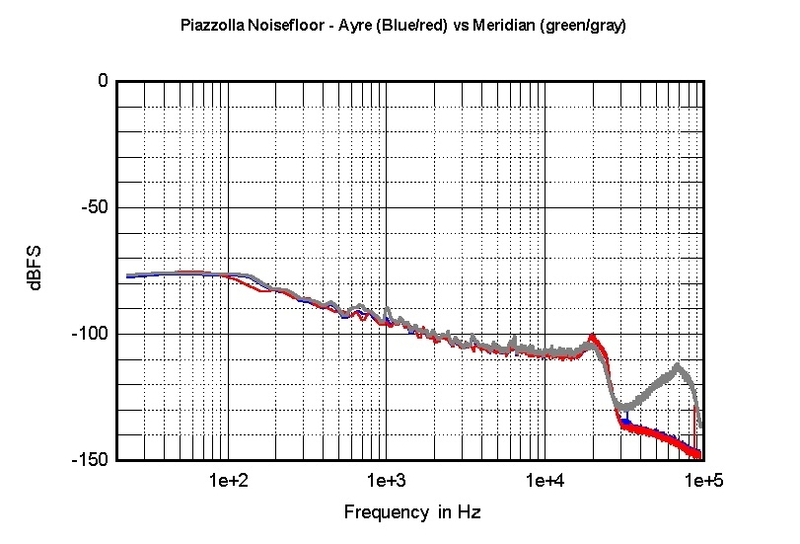 Blue and red traces are the analog output of an Ayre C-5xe with no MQA; green and gray traces are the analog output of a Meridian Ultra DAC decoding the 16/44.1k MQA-encoded data from the Japanese Piazzolla MQA CD. (Levels were matched to within 0.1dB.) The A/D converter was the Ayre QA-9 with its "Listen" anti-aliasing filter, which has a flat noise floor between 20kHz and 96kHz.